“Water is the most versatile of all elements. It isn't afraid to burn in fire or fade into the sky, it doesn't hesitate to shatter against sharp rocks in rainfall or drown into the dark shroud of the earth. It exists beyond all eginnings and ends. On the surface nothing will shift, but deep in underground silence, water will hide and with soft fingers coax a new channel for itself, until stone gives in and slowly settles around the secret space. Filled with philosophical themes, existentialism and moments of pure beauty, Memory of Water is a highly original, remarkably intelligent and infuriatingly teasing work of speculative fiction set in a dystopian world. What we have here is a sad and hopeless world driven to the brink of extinction by its own inhabitants; humans. The global warming caused all the ice to melt, overflowing the oceans. The earth is scorched, the heat is almost unbearable, and the drinking water is almost impossible to get. Those who have access to it, hold all the power. The government is rationing the purified sea water, making sure people get only enough to survive, and executing those desperate enough to dig illegal wells and water pipes. 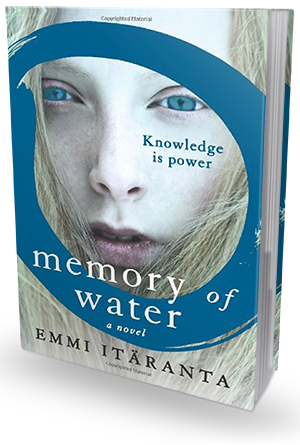 Memory of a Water tells the story of tea master's daughter, Noria, as she is charged with keeping a life-changing secret. A secret of a hidden fresh water spring, guarded by generations of tea masters. 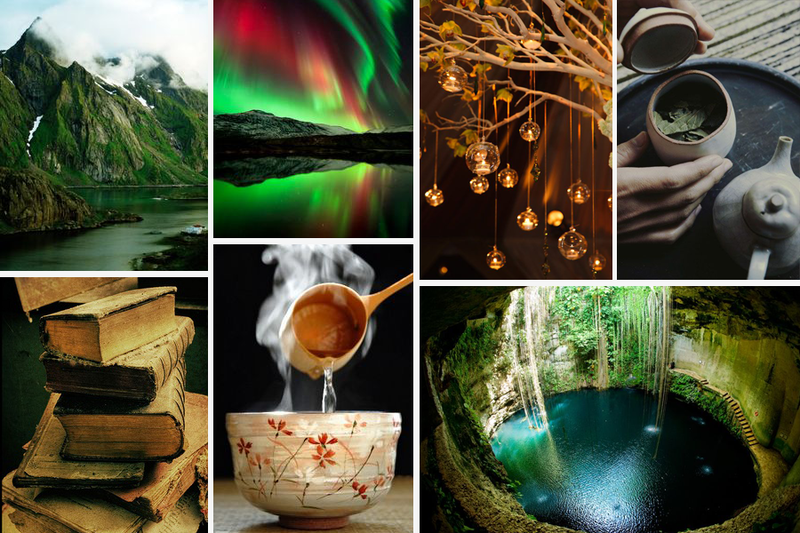 The setting, the customs and the unique Scandinavian atmosphere make this story feel exotic and fresh. The characters - oddly calm and focused in times of such desperation and thirst - surprise the reader with their coldly calculated decisions and peaceful acceptance of their fates. The plot line flows lazily like a stream of arctic fresh water - it speeds up rarely, it offers very few twists and instead of smashing into a dam, it flows into the ocean, offering no definite ending or clear conclusion to the story. On top of all that, while this book is supposedly written with teen readers in mind, I would not dare categorize it as YA fiction. It's neighter YA nor adult story, it's simply its own thing. Frankly, I don't believe readers who are used to reading fast-paced, action-packed YA blockbusters will find this book to their taste. (Side note: It's been pointed out to me that this book is only marketed as a YA novel in English speaking countries, and it was originally published in Finland as adult novel.) It's on the slower, more contemplative side, with no clearly marked boundaries and completely unconventional construction. I don't think I have ever read anything quite like it, but I think fans of Japanese fiction (Haruki Murakami, Yukio Mishima, Abe Kobo) , or, say, Paolo Coelho and José Saramago, will have better luck with it. In other words, it's more of a book for those who appreciate non-commercial, lyrical, meditative part-contemporary, part-SciFi cautionary tales. Reading Memory of Water was definitely an enriching experience for me. I was drawn to this bleak and yet somehow beautiful world. 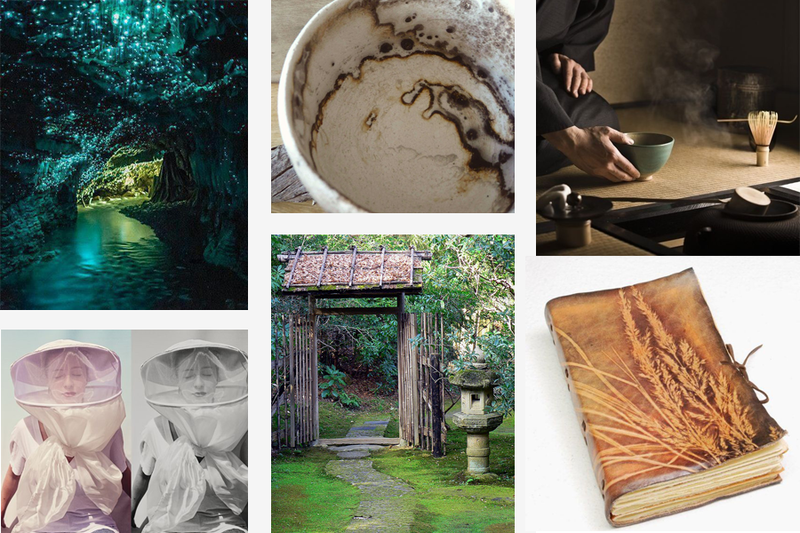 The gentle and evocative style of the prose and the fascinating tradition of the tea ceremony contrasted with the injustice, the cruelty and the suffering depicted in this story, made this a fascinating read. I am very upset that there will be no sequel, for there are so many questions demanding to be answered, it's almost maddening. And yet, in a way, I understand why Itaranta decided to leave an open ending and so many secrets left undiscovered. In the end, this story is like water itself, "it exists beyond all beginnings and ends".